After the death of a loved one, both family members and Florida courts want to ensure that the estate is distributed according to the decedent's wishes. As a result, Florida law allows people to challenge wills in cases of undue influence, fraud or mental incapacity. Knowing how a will may be challenged may help you understand the importance of following the state's laws when drafting your own will. In Florida, you may challenge a will before the probate process is complete. Probate involves submitting the will and related documents to the probate court in the county where the decedent lived. If no one has yet submitted the will, no matter how much time has passed since the decedent passed away, you may challenge the will. After the will has been submitted to the court but while the probate process is still ongoing, the deadline depends on whether or not you received notification about the will. If you received notice, you must file within three months, but if you did not receive notice, you may file later than three months, so long as the probate process is not completed. Once the court has discharged the estate, in most cases, you can no longer challenge the will. The exception is when someone was prevented from challenging the will due to fraudulent conduct, such as intentionally failing to notify a family member that the decedent passed away. In that case, a will contest may be filed after the will is discharged. You may file a will contest in Florida if you have evidence that the will does not accurately represent the decedent's wishes. The will must comply with the laws of the state in terms of how it was executed, meaning that the decedent must have signed the will in the presence of two witnesses, and a notary must have authenticated all the signatures. Additionally, you may contest a will if you can present evidence of fraud, undue influence or incapacity. Fraud may have occurred where the decedent did not know he was signing a will. If the decedent did not have the mental ability to understand the document, he may have been incapacitated. Finally, undue influence occurs where someone pressured the decedent to write his name into the will. 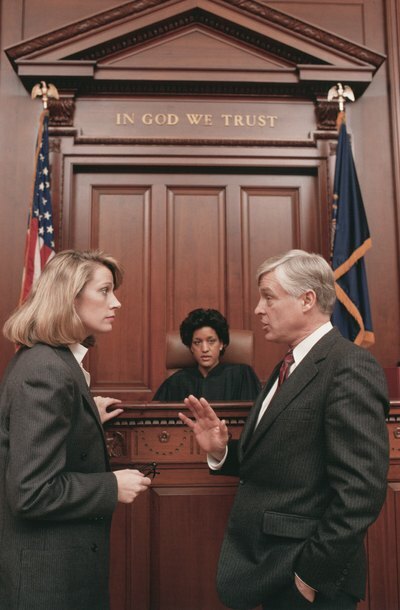 Florida courts do not enforce no-contest clauses, also known as "in terrorem" clauses. In states where such clauses are valid, it provides that if someone challenges the will, they will be completely disinherited. Because no-contest clauses are not enforceable in Florida, it is somewhat easier to challenge wills in Florida probate courts than in other states. To challenge a will in Florida, you must file a Petition for the Revocation of Probate with the probate court. After the petition is filed, the personal representative, or person responsible for administering the estate, may continue with his administrative duties. However, the representative may not distribute any property from the estate that will end up with a different person if the will contest is successful. If you challenge the will, it is up to you to provide evidence that the will should be revoked. The court may find that either the entire will, or a portion of the will, is invalid, depending on the grounds for challenging the will. For example, if challenged on the grounds of undue influence, the court may simply find one provision to be invalid. On the other hand, if the court finds that the decedent suffered from mental incapacity when writing the will, this would likely invalidate the entire will. When a will is found to be invalid, the estate will pass through Florida's "intestacy" laws, which provide the rules for distributing the property of someone who died without a will. James W. Martin: What Is the Deadline to Contest a Will in Florida? The Law Offices of Adrian P. Thomas: What Constitutes a Contest In No Contest Provision? If you're the beneficiary of a deceased person's will or believe you are entitled to inherit, you may contest the will in probate court if you believe the will isn't valid. Arizona law provides several circumstances that may render a will invalid. It is best to contest a will as soon as possible before distribution of the estate occurs. However, once an estate is closed, you can still make a claim against the personal representative, who is the person responsible for managing and distributing the estate, for a breach of fiduciary duty. A claimant also has three years after the decedent’s death or one year after the date of distribution to file a claim.